Long, tapered glossy green leaves, made up of 13 to 17 leaflets, appear in spring followed by small white flowers in late spring. In autumn, the tree is covered in clusters of bright red fruit and the crown is ablaze of scarlet foliage, deepening to ruby red. 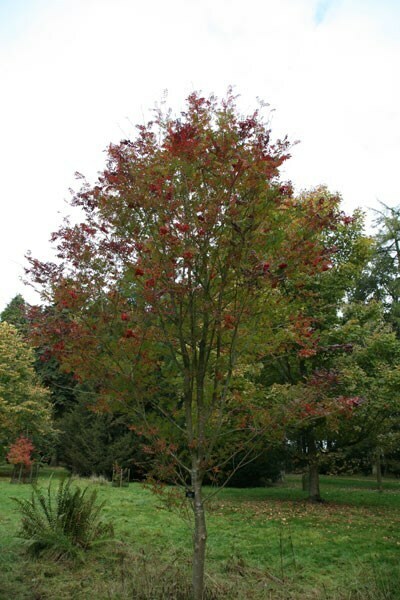 More upright in habit that the species, this is a slender branching, conical tree, which is ideal for a small garden or woodland area.